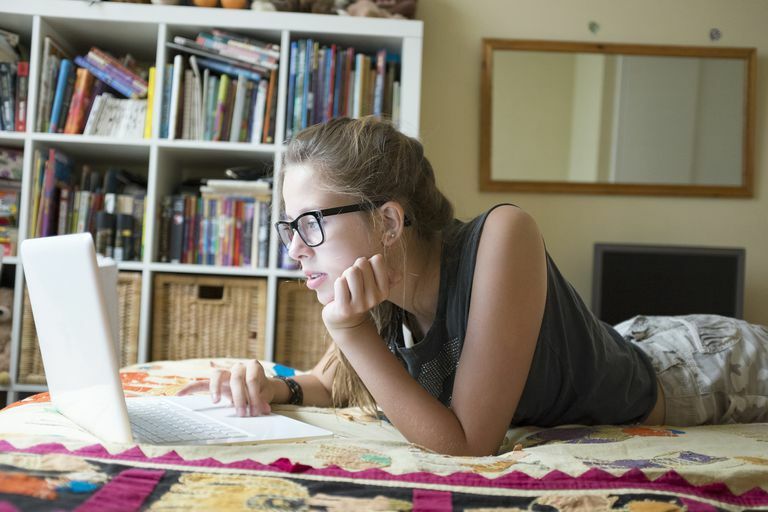 While many people are fully aware of all the dangers associated with Facebook and other social networks, many teens are just now getting their first account and exploring their new freedoms. While you may want an account when your 11 or 12, Facebook specifically forbids anyone younger than 13 from registering. If they find out you are lying about your age they may terminate your account and all of your content including your pictures. 3. Set Strong Privacy Settings. While you may want to be a social butterfly, you need to set your Facebook privacy settings so that not just anyone can see your profile and content. It is best to only make the details of your profile available to people you have already "accepted" as your friends. Don't make your personal e-mail or your cellphone number viewable on your profile. If you do post this info it's possible that a rogue Facebook application or hacker could use this information to SPAM or torment you. I recommend not even allowing your Facebook friends to have this info. Your real friends will have your cell phone number and a-mail anyway. The less exposure the better. Criminals and predators could use your location information to track you down. You might think that only your friends would have access to this information, but if your friends' account is left logged in on a public computer or their account gets hacked then strangers will now have your location information. Never ever post that you are home alone. If you ever feel threatened by anyone on Facebook or someone is harassing you by sending unwanted Facebook messages or posting something abusive on your public wall, report it by clicking the "report abuse" link on the post. If someone posts a picture of you that you don't like, you have the right and the ability to 'untag' yourself. If your password is too simple, someone could easily guess it and break into your account. You should never provide anyone with your password. Always make sure that you log out of Facebook completely if your using a public computer in a Library or school computer lab. There are some things you should never post on Facebook. When you post something, always remember that it can affect other people and could be used against you in the future, so be smart. Just because you delete something on Facebook after you say it, doesn't mean someone didn't take a screen shot of it before you had the chance to remove it. If you post something embarrassing about yourself or others, it may come back to haunt you in the future when you apply for a job or try to get into a college that checks Facebook profiles. If you don't feel comfortable enough saying something in front of someone then it's probably best not to post it online either. Not all Facebook apps are made by good people. Usually a Facebook app will require access to parts of your profile as a condition of using it. If you give an app access and it's a bad application then you might have just opened yourself up for SPAM or worse. If in doubt, check it out by Googling the app's name followed by "scam" to see if there is any reported shenanigans. 10. If Your Account Gets Hacked, report it IMMEDIATELY!! Don't be too embarrassed to report your account getting hacked by someone. It's important that you report the hack immediately. Hackers may try and impersonate you using your hacked account for the purpose of getting your friends to fall for their scams. Check out How to Tell a Facebook Friend From a Facebook Hacker for more information.